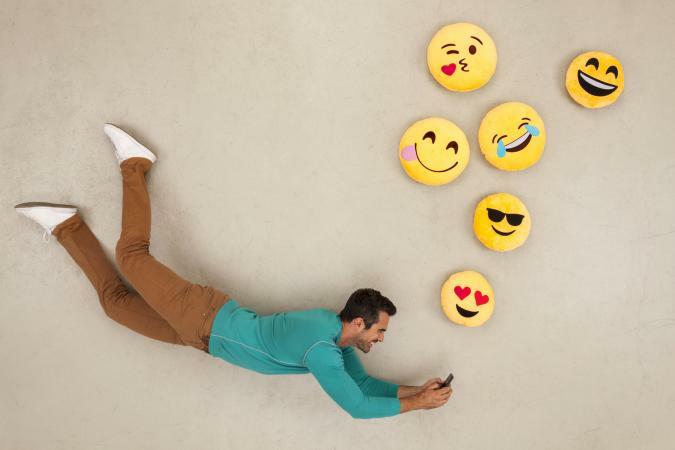 Chat symbols (also known as "emoticons" or "emoji") have been around for as online communication, and Facebook offers many fun ways to take this convention even further. There are several options, like stickers and GIFs, to give your posts, comments and messages more flair. Emoji are small, colorful icons to give someone an idea of the tenor of your post with just a quick glance. 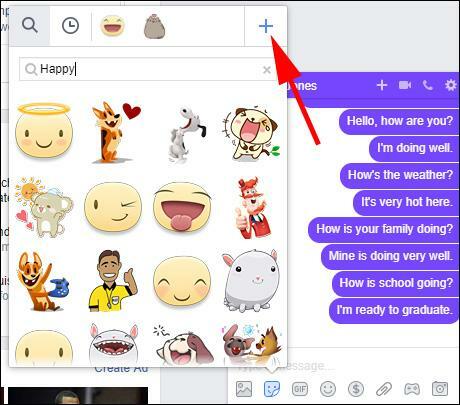 You can use emoji in both Facebook and on the Facebook Messenger app, and they can be placed within comments, posts and messages, along with text. Most people know how to use the familiar ones, such as a smiley face or a frown. There are lots of other categories to choose from. 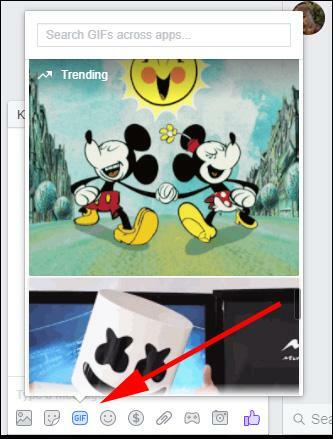 There are several ways to add emoji to a Facebook post on your computer or within the Facebook mobile app. Tap or click on the screen to insert a post as normal. You can choose "Feeling/Activity" on the menu beneath the area to type a post. This gives you a preset list of emojis that are coupled with "feelings." For example, you can choose "Eating" and then "Pizza" from the drop-down menu, which will produce an emoji or a pizza slice along with the text "Eating" on your post. The other option to add an emoji is to click on the grey happy face that is located at the bottom right of the post text area (just above the menu options where Feeling/Activity is located). Clicking on the happy face will pull up a menu that gives you a full range of emoji in various categories. You can click through the categories by clicking on any of the grey emoji at the bottom of the emoji box. 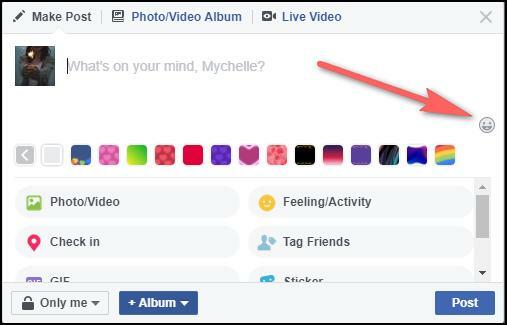 Simply click on the emoji of your choice and it will be added to your post. You can do this as many times as you want in a single post. PiliApp Facebook Symbols contains most of the emoji you can find within Facebook. Simply click on the one you want to copy and then paste it into your Facebook post. Emoticons for Facebook has many of the same emoji you can find in Facebook but with slightly different graphic styles if you would like to have an offbeat look. Copy and Paste Emoji also has many of the same emoji you can find on Facebook, but these have a bold black outline to each emoji to help them stand out more among the "usual" emoji you see online. 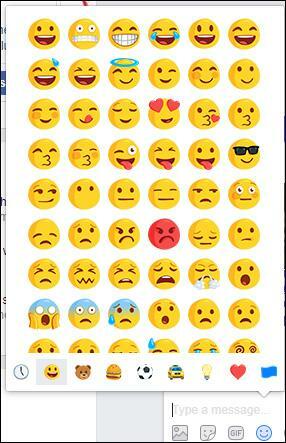 Using emoji in Facebook Messenger is slightly different from using Facebook itself. Tap or click on the happy face in the menu at the bottom of the screen under the area you type your message. You can also use your phone keyboard by tapping on the smiley face near the bottom left of the keyboard screen. The full array of emoji will appear where your alphabetical (QWERTY) keyboard was and you can scroll through categories by tapping on the grey icons at the bottom of the screen. To insert the emoji, just click or tap on it. There are many apps you can download with emoji that you can use in conjunction with the Facebook Messenger and Facebook apps on your tablet or smartphone. Get Talking Smileys has fun animated emoji for use on both iOS and Android phones and tablets. Emoji Keyboard is an Android app that gives you different keyboard options with many more emoji. Some fun ones include T-Rex, Face Palm and Taco. A similar app for iOS devices is Emoji>. Another way to make your posts and messages more fun is the use of Alt codes. Where the Alt key is involved, hold the Alt key on your keyboard, type the numbers that follow, then release the Alt key. For the others, simply type the series of symbols, numbers and letters. The plain text should be replaced by the corresponding emoji when you hit the space bar. All of these Alt and keyboard codes can create cartoon emoji in your Facebook posts. Give your comments and messages an extra twist by using animated stickers and GIFs. Unlike emoji and alt codes, you cannot use these with text in the same post, comment or message. You either need to type in your text first and hit enter, or type it after as the stickers and GIFs only appear in their "own line" in a comment, message or post. You can find GIFs and stickers on almost any subject or emotion you can think of. Many feature familiar characters from films and television such as Disney, Star Wars, Rick and Morty, SpongeBob SquarePants, Hello Kitty and much more. 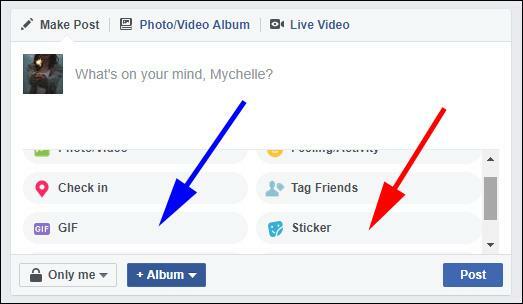 Inserting a sticker in a post, comment or message is essentially the same as inserting an emoji, but the location of the sticker button differs for each. Click on the 3 grey dots at the bottom of a post to the right of the Feeling/Activity button. This will pull up a menu with various options to bring more character to your posts. For GIFs, click on the "GIF" button (blue arrow in image below) and for stickers, click on the "stickers" button (red arrow in image below). For each, a menu will pop up with the full option of stickers and GIFs. Just click on the one you want to insert. If you want to post a GIF or sticker as a comment, the menu for these options appear at the right of the comment text area. The emoji option is the smiley face icon (green arrow in image below), the GIF option is the small square GIF icon (blue arrow) and the sticker option is the square smiley face (red arrow). Clicking on any of these items in a comment area will pull up the menu and you can click on the one you want to enter it in a comment. 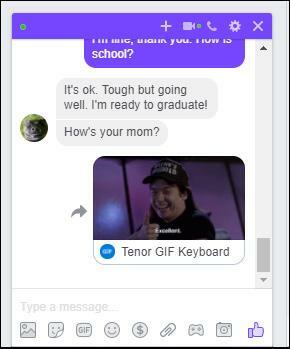 The method to insert GIFs and stickers in Messenger is similar to Facebook posts with some slight differences in where menu items are located. To insert a sticker, tap on the square smiley icon (red arrow in image below) which will pull up the stickers menu. You can click on the emotion you are interested in searching through. Another way to find the sticker you want is to type in a keyword in the "search stickers" box above the feelings buttons. For example, if you type in "happy," stickers showing happy emotions will appear. You can add additional sticker libraries by clicking on the plus sign on the top right of the stickers pop-up menu. The Sticker Store menu will appear. Scroll through to find the library or libraries you want and add them by tapping on the green "free" button. 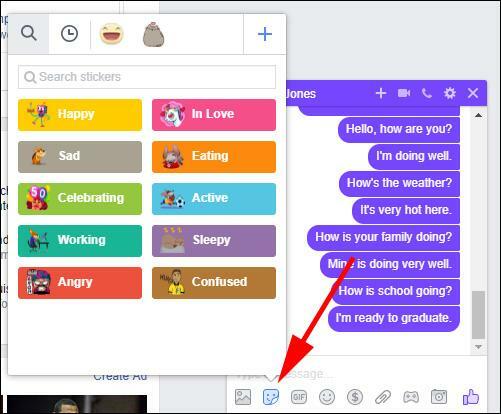 Once added, you can easily access these stickers via the top line above the Feelings stickers menu. To add a GIF, you follow much the same steps as a sticker. Next to the sticker icon in the bottom menu, choose the square GIF icon and the GIF menu you will pop up. You will see some of the newer and more popular GIFs appear in the menu. You can choose one of these GIFs or type in your keywords in the top search box to find a GIF of your choice. You can find GIFs expressing emotions, popular expressions, and scenes from movies and TV shows. Tap on the GIF you want and it will be placed into a message and automatically sent. Facebook is a wonderful way of connecting with your friends and family, particularly if they live far from you. You can make your posts, comments and messages pack an extra punch with the use of animated GIFs, stickers, emoji and alt code images. It's easy to do, there are plenty of choices, and more are added all the time. Let your creativity and personality shine through!